A pastor was killed yesterday morning by persons suspected to be Badoo members. The incident occurred at Lajo Road, near transformer in Igbogbo-Bayeku. The pastor’s widow, Gloria and 10-month-old baby, Goodness, were said to have been found unconscious. They were rushed to Ikorodu General Hospital by policemen from Igbogbo Division. The attack occurred few hours after acting Police Commissioner Imohimi Edgal met with all stakeholders at the palace of the Ikorodu monarch, Oba Abdulrasheed Shotobi on the menace of ritual killings. It was gathered that the assailants smashed the head of the pastor identified as Victor Kanayo with two big stones, which were said to have been found beside him. The Nation gathered that the murderers cut the iron bars on the window of the bungalow the family lived in before entering the house. 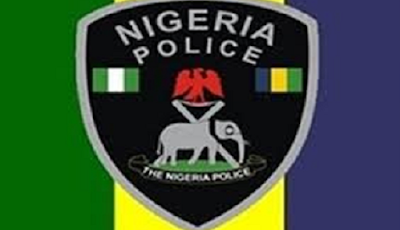 This is coming on the heels of several efforts by the police to contain the resurgence of the Badoo killings which died down after massive raids of several shrines in Agbowa and Imota axis suspected to be the base of the cultists. According to sources, the pastor and his family were the only ones living in the building because the landlord moved out some months ago as a result of increased insecurity. Police spokesman Chike Oti, a Superintendent (SP) said some persons have been arrested in connection with the murder. He said the police had commenced investigation into the case, adding that the command was digging into the pastor’s past to be sure there was no connection between his past and murder. Oti stated that the look into his past was sequel to a human skull tattooed on the deceased’s shoulder, which detectives believe had cultism connotations. He said: “Around 7am, at Offin, Igbogbo, Lagos, a suburb of Ikorodu town, one Victor Kanayo, a male person and a pastor was murdered. “The command has made a couple of arrests and suspects are being questioned with a view to discover the author of the heinous crime. The Commissioner of Police has also dispatched a team of crack detectives to unravel those behind the murder, dig into the past of the victim and see if there is a correlation between his past and his fate.